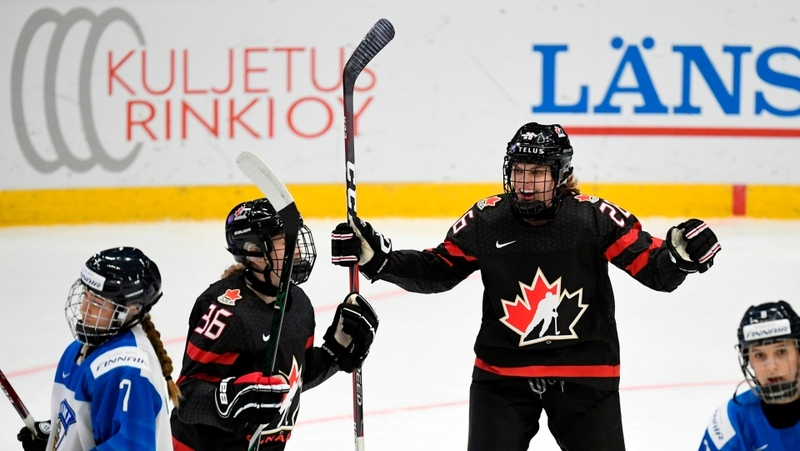 ESPOO, Finland -- The Canadians heard 'O Canada' after their final game of the women's world hockey championship, yet nobody standing on the blue-line was smiling. 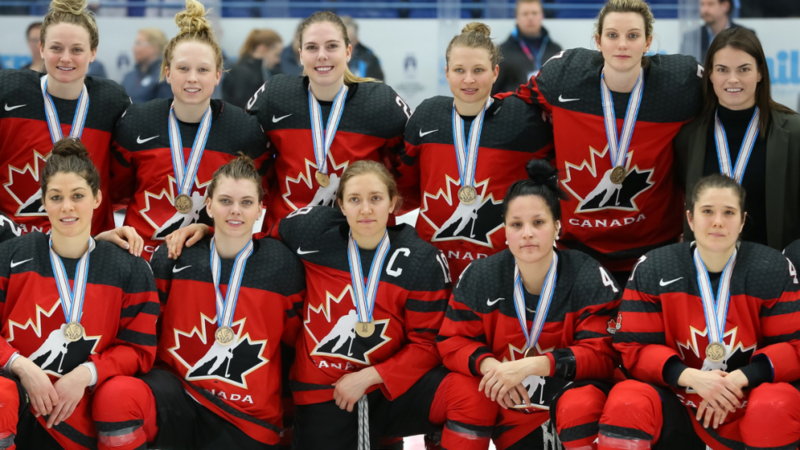 Canada's women's hockey team with their gold medals in Finland. 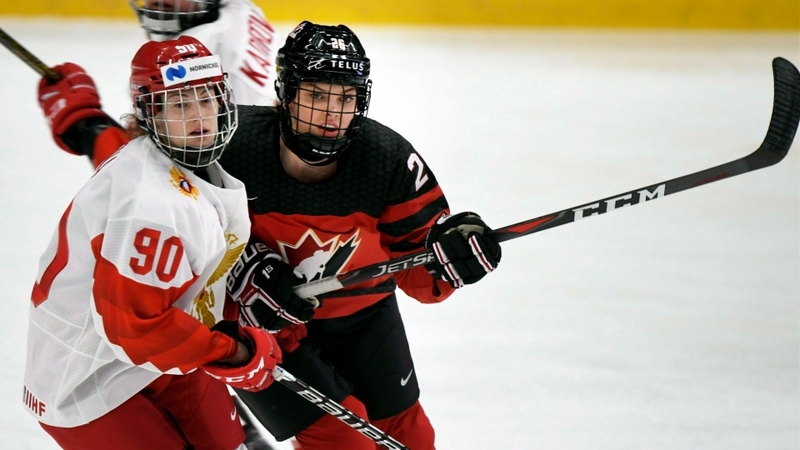 Kitchener native Loren Gabel has been named the top NCAA Division I women's hockey player of the year.